Garrett Hack has served as a contributing editor at Fine Woodworking magazine and has contributed dozens of articles to that publication for over a quarter century. 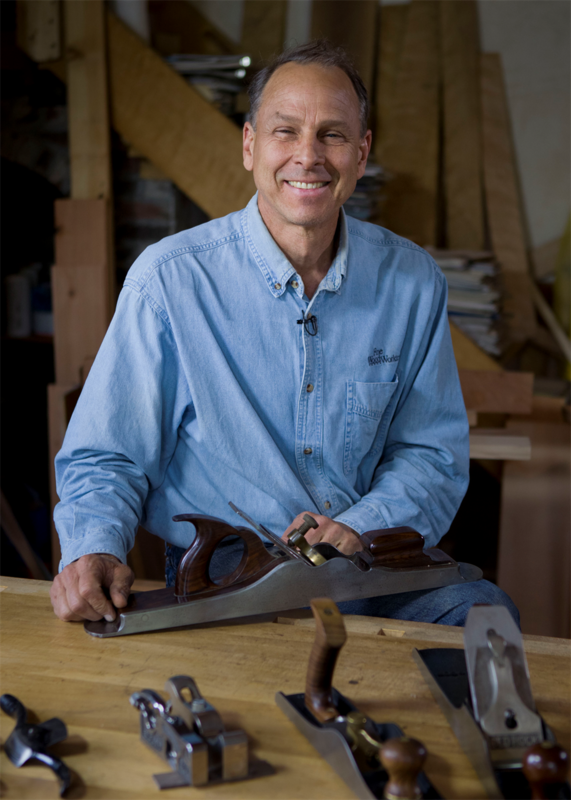 He is the author of The Handplane Book and Classic Hand Tools. His own unique style combines elements of Shaker and Federal forms with whimsical elements executed to perfection. His work has been featured in the New York Times, Home Furniture, and New Hampshire Home. His visit to the Guild in 2018 was a huge success, and we’re delighted to have him return for another visit in 2019. 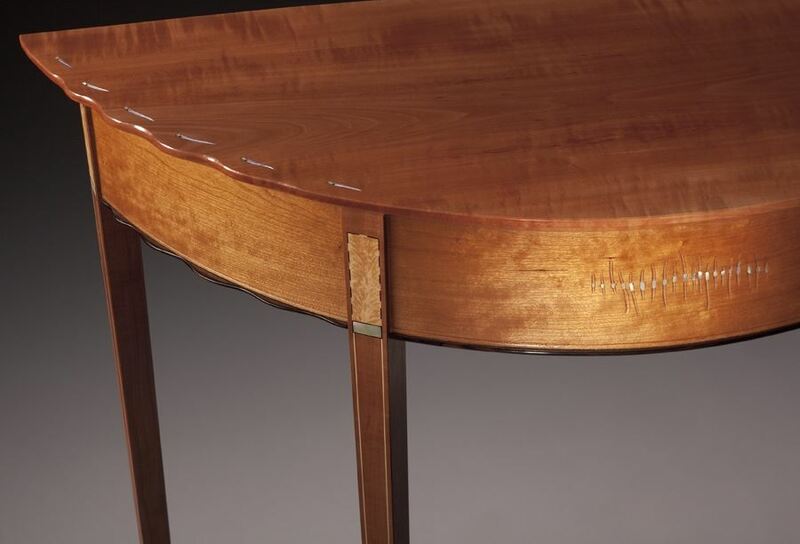 As your furniture design and technical skills develop, so does your interest in using curves. 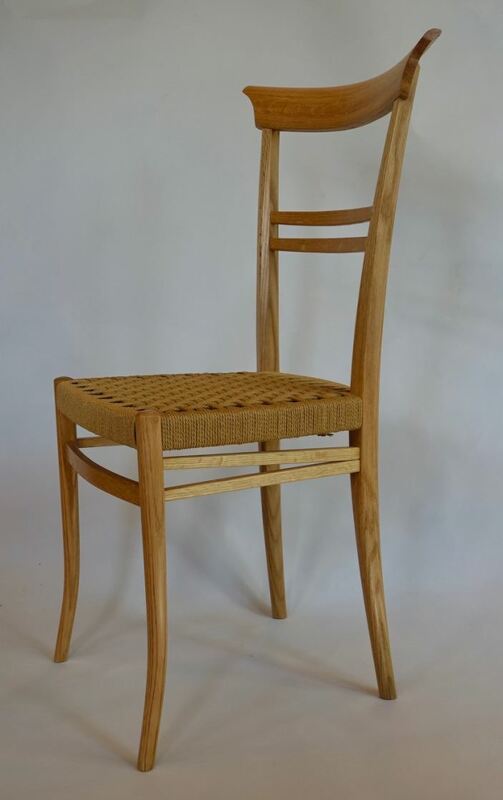 We'll cover the basic ways to create those curves, from cutting them out of solid stock, such as along the edge of a table, to laminating and steam bending more complex shapes for chairs. What are the advantages and disadvantages of each method — speed of making, stability, consistency, economy — and how do you decide the best approach? We'll go through as many processes as we can, from designing curves to producing quick patterns, bending forms, thin laminates, coopered shapes, veneered curves, and most importantly dealing with the joinery of curved parts. You'll see, because you'll be doing all the steps, too. A list of tools and materials will be provided well in advance of the class. Beverages, snacks and lunch will be provided. Please note that your registration for this class is not complete until the class registration fee is received by the registrar. Class registration fees must be paid in full within 7 days of registration to avoid being dropped from the class list. You can pay online using PayPal, or by check made payable to the Guild of Oregon Woodworkers. Reference the class title and number on the memo line and mail it to: GOOW-Registrar, C/O Julie Niemeyer, 20282 SW Inglis Drive, Beaverton, OR 97007. Because of the expected popularity of this seminar, early registration is strongly encouraged. Feel free to direct questions to class coordinator Jeff Zens at jeffzens@custombuiltfurniture.com.